The locals sighted unusual racing Hilux vans in a convoy on nearby labyrinthine routes, with armed men. It was the evening of a Tuesday in April at about 5pm. the community as preparing to wind up for the day to retire home for a night rest. Shortly after, residents heard sporadic gunshots. The assailants announced their presence in the community in this manner. Perhaps, the insurgents were eager to celebrate a penetration of the localities or nearness to their target, Damaturu and to scare off Naija troops in order to freely kill and abduct people. News of the presence of insurgents circulated rapidly among the locals like whirlwind. A police officer, Sgt. Atiku attached to the police Outpost in Maisandari engaged his office colleagues in a conversation on the Boko Haram raid. “You know, our leader, Sai Baba is in Dubai on an official visit?” Yes, replied a female Cop. “But that’s the truth,” the female Cop admitted. “But terrorists and their agents hate to hear anything about them losing the war,” the female Cop stressed. “But what’s a lie or false on what Sai Baba said, we are here together, can you name just one local government still under Boko Haram captivity? ”asked the female Cop. Atiku could not answer; he became speechless and abruptly terminated the discussion. Meanwhile, somewhere in Dubai where Sai Baba met the Nigerian community, a Boko Haram media officer who lives in the city monitored his speeches. He heard firsthand, Sai Baba’s utterances on the defeat of Boko Haram insurgency. Minutes later, the Boko Haram media officer was on a telephone chat with Mallam Shekau, who is still recovering from his injuries at a hideout somewhere in the mountainous forests of Cameroun. “I have heard him too. But the remnants of our foot soldiers are getting lean by the day. Naija troops have caged us. 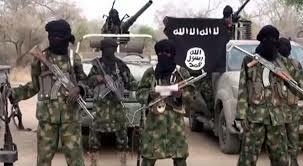 We can neither recruit or train fighters,” decried Shekau. “But we’re doing something, we shall release our best squad from the remnants to counter him on the battlefield to regain our lost grounds and put Naija military on tension,” Shekau feebly added with a pained voice. “I have directed our top commander to respond to Naija on the field, right in the heart of any location in the Northeast,” Shekau added. The terrorists media officer heaved a sigh of relief, and promised Shekau to give it ultimate publicity when the atrocious act of attack is committed. But it turned out the opposite way. So, the residues of insurgents fleeing the fire of MNJTF from the fringes of Chad, Niger and Cameroun came fully prepared in 14 Hilux vans and armed with anti-aircraft guns to repeal possible air strikes from government forces, gun trucks, 1.60 Millimeter Mortars, General Purpose Guns, AK 47 rifles and assorted ammunitions. When Sai Baba asserted that Boko Haram has been defeated, those abreast with the war never doubted him. But Shekau and his media officer in Dubai, doubted and dared him to their peril. Okanga wrote from Agila, Benue State.